Saint Misbehavin' journeys from the hills of California to the Himalayan Mountains to reveal the life of this one of a kind servant to humanity. The film blends Wavy's own words with magical stories from an extraordinary array of fellow travelers both cultural and counter-cultural, revealing the man behind the clown's grin and the fool's clothing. Wavy's life is his message, serving as deeply needed inspiration that we can change the world and have fun doing it. 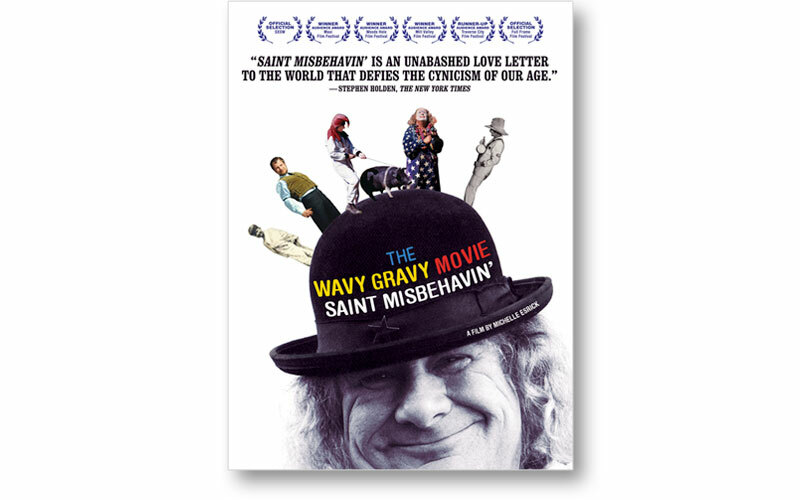 Satirist Paul Krasner describes Wavy as "The illegitimate son of Harpo Marx and Mother Theresa, conceived one starry night on a spiritual whoopie cushion," to which Wavy has replied, "Some people tell me I'm a saint, I tell them I'm Saint Misbehavin'." Featuring: Wavy Gravy, Dr. Larry Brilliant, Grateful Dead, Bonnie Raitt, Jackson Browne, Ramblin' Jack Elliot, Odetta, Patch Adams, Buffy Sainte Marie, Steven Ben Israel, The Hog Farm and more! Directed and Produced by Michelle Esrick / Ripple Effect Films Inc.